Paddy Power Betfair has been fined £2.2m by the UK's gambling watchdog for a raft of failings including allowing a punter to gamble money stolen from a dogs home. The Gambling Commission found "significant" amounts of stolen money had been gambled with Paddy Power's online exchange Betfair after it failed to carry out proper anti-money laundering checks. Its investigation also found Paddy Power did not protect three customers showing signs of gambling addiction. The commission's inquiry centred on five customers in 2016, including two who were allowed to gamble stolen money - one of whom had defrauded his employer, Birmingham Dogs Home. The chief executive of the dogs home and his wife admitted cheating the charity in an £894,754 fraud over four years from 2012 to feed his gambling addiction. He was jailed for five years at the end of 2017, while his wife was given a two-year suspended term. As part of Paddy Power's settlement with the Gambling Commission, the money will be returned to the dogs home. The regulator also found three Paddy Power customers were allowed to bet "extensively" online and through its betting shops despite signs of problem gambling, which were not picked up after failures to interact with the punters. 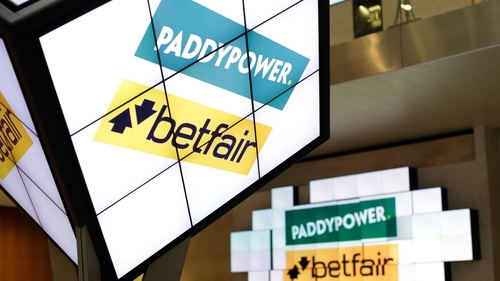 Paddy Power Betfair will pay out £1.7m to charity Gamble Aware and just under £500,000 to victims and impacted parties, as well as £50,000 to cover the commission's investigation costs. "As a result of Paddy Power Betfair's failings significant amounts of stolen money flowed through their exchange and this is simply not acceptable," Richard Watson, executive director of the Gambling Commission, said. "Operators have a duty to all of their customers to seek to prevent the proceeds of crime from being used in gambling," he said. "These failings all stem from one simple principle - operators must know their customer," he added. Shares in the company closed over 5% higher in Dublin trade today.